I was born in California. My parents moved to Washington when I was 2 and there I remained until I left for college. I am a true Northwesterner and after three years at BYU and a Mission on Temple Square in the heart of Salt Lake City I returned “home” to Portland, Oregon. 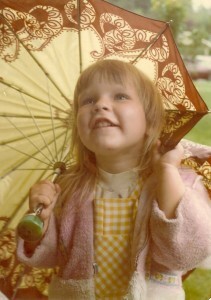 The 13 years I was in Portland,I was involved in many things. I started my work career working as a pharmacy technician. After a few years I decided to return to school to finish my bachleors degree. I had studied Microbiology for three years at Brigham Young University but decided to finish at Portland State with a degree in Speech Communication. Upon completion of my degree I started with Merck. I worked as a pharmaceutical sales representative for Merck for 10 years. During that time I applied to medical school and was interviewed by the University of Washington Medical School. I decided that I wanted to have a family more than I wanted to go to medical school so I did not pursue my dream of being a doctor any further. I was active with the Portland LDS young singles and worked to establish an LDS mid-singles group. I love trying new things and have aquired many hobbies and skills. I am always happiest when I am outdoors, hiking, running, backpacking, camping, skiing or just about anything else. I love to travel and have had the opportunity to travel to Hungary, Czech Republic, Mexico, Canada, various Caribbean Islands, Peru, and most recently South Africa. I love to explore my creative side sewing, quilting, gardening, and “play with paper” creating greeting cards and invitations for friends. I also enjoy sewing and have been creating adorable clothing for my nieces. When we got married I quit my job to move to Utah to be with Jared. Currently we own and I am managing a children’s specialty clothing store. Once we adopt, I will be staying at home with the baby. I can’t wait to be a mother!